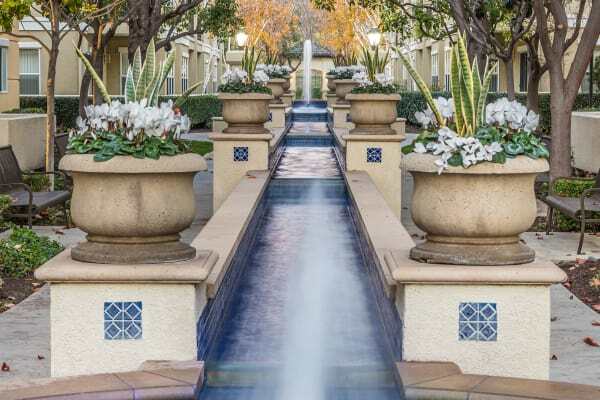 The Carlyle is your destination for resort amenities in Santa Clara, California. Our residents have access to community amenities that would cost a small fortune elsewhere. Take advantage of the weights and modern cardio equipment in our state-of-the-art fitness center or lounge poolside beneath the immense palm trees in our garden courtyard. When you’re done, pick up a game of pool in our billiards room or clean your car in our designated car wash area. The Carlyle will soon offer all residents access to the Parcel Pending package delivery service onsite. When enrolled in the service, your packages will be delivered to your secure storage locker with access codes and updates delivered directly to you by text or email. Schedule your VIP tour of our desirable community today. Call our professional management team to view our one, two, and three bedroom apartments for rent in Santa Clara, CA.